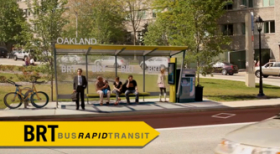 Bus Rapid Transit depends on your support. Get involved and provide feedback on BRT as a commuting alternative by taking a quick survey at https://www.surveymonkey.com/s/773DMBT. For more information on Bus Rapid Transit visit www.gettherepgh.org.